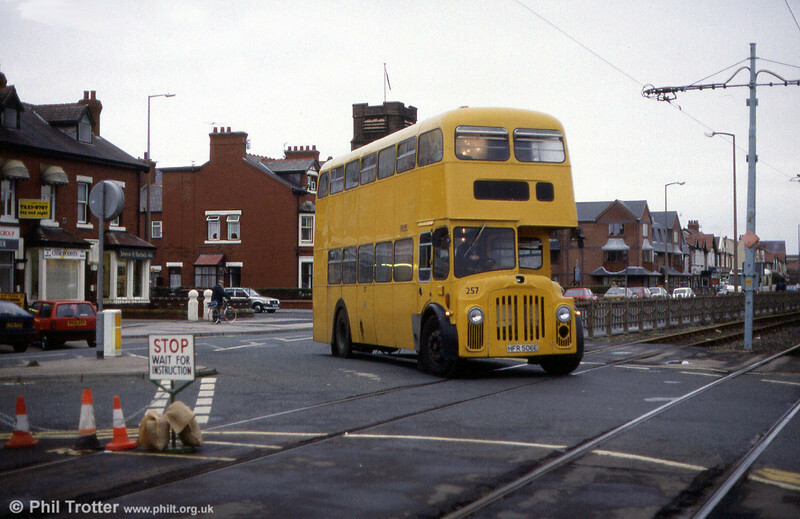 Blackpool 1967 PD3A/1 257 (HFR 506E), in retirement as a works bus for tramway maintenance staff at Cleveleys, 22nd November 1991. The bus originally carried fleet no. 506; bodywork was MCW H41/30R.